1 Why Do We Need Modeling? Progress in Molecular Biology and Translational Science provides a forum for discussion of new discoveries, approaches, and ideas in molecular biology. It contains contributions from leaders in their fields and abundant references. 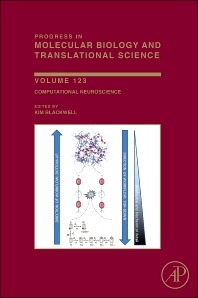 This volume brings together different aspects of, and approaches to, molecular and multi-scale modeling, with applications to a diverse range of neurological diseases. Mathematical and computational modeling offers a powerful approach for examining the interaction between molecular pathways and ionic channels in producing neuron electrical activity. It is well accepted that non-linear interactions among diverse ionic channels can produce unexpected neuron behavior and hinder a deep understanding of how ion channel mutations bring about abnormal behavior and disease. Interactions with the diverse signaling pathways activated by G protein coupled receptors or calcium influx adds an additional level of complexity. Modeling is an approach to integrate myriad data sources into a cohesive and quantitative model in order to evaluate hypotheses about neuron function. In particular, a validated model developed using in vitro data allows simulations of the response to in vivo like spatio-temporal patterns of synaptic input. Incorporating molecular signaling pathways into an electrical model, allows a greater range of models to be developed, ones that can predict the response to pharmaceuticals, many of which target neuromodulator pathways.